To achieve the global goal and country support objectives, the SES Initiative provides support for the development and implementation of a country safeguards approach under the following five themes. Governments and/or civil society actors in countries implementing REDD+ and related low-emissions land use strategies and action plans may choose to engage on one or more of these themes, on a voluntary basis. The REDD+ SES Initiative puts a strong emphasis on promoting a balanced participation of stakeholders potentially affected by the REDD+ or other land use strategy and action plans, and has developed a series of capacity building materials and guidance on approaches to manage multi-stakeholder processes. These include guidance for the development of multi-stakeholder safeguards committees and for establishing transparent practices and effective stakeholder communications. In addition to providing capacity building and technical support to government and civil society actors in individual countries, the Initiative facilitates learning across countries, and helps to synthesize challenges, lessons learned and tips about multi-stakeholder processes. The REDD+ SES Initiative provides capacity building or targeted technical support tailored to the country’s needs for the design and implementation of a SIS, drawing from experiences and expertise across a range of countries. Some countries are making progress designing a SIS building on existing information systems, where comprehensive information systems are already functioning, for example linked to existing laws or international agreements that can be reviewed for relevance as the basis of their safeguards information for REDD+. Other countries may need to fill more gaps and could draw on international standards such as REDD+ SES to support them. The REDD+ SES Initiative has developed a series of decision-making questions for each step in design of the SIS, for example helping to think through decisions related to which organizations should be involved, in what way, how to collect information, who compiles information, how is information reviewed for accuracy, what information is shared, in what format and with whom. In addition to national-level SIS, several countries have REDD+ strategies at subnational level, and the REDD+ SES Initiative is also providing capacity building and targeted technical support at the sub-national level, as well as for linking safeguards information between levels. The REDD+ SES Initiative provides interactive learning and helps countries to share their progress and lessons learned through country visits, workshops, side events, webinars, list-serves, and through the Initiative’s website. Government and civil society actors from participating countries have appreciated the opportunities provided by the Initiative through workshops and exchange visits to share progress, challenges and lessons learned with other countries that are further ahead in developing their country safeguards approach. These exchanges and the detailed support that the Initiative provides to many diverse countries enables the identification and synthesis of lessons learned and emerging good practices based on country experiences. These are shared in briefing documents, summaries and reports. The Initiative provides targeted capacity building and grants to support civil society to enable them to convene meetings, to provide outreach to other relevant groups in the country, to develop materials and to build capacity of broader civil society, for example through civil society platforms and networks. Full and effective participation of relevant stakeholders is one of the UNFCCC REDD+ safeguards, and also helps to strengthen the country safeguards approach. If civil society stakeholders understand the details of safeguards and how they can support their rights and interests, and are involved in monitoring their implementation, then they can play a role in calling for action to address any weaknesses and enhance benefits. The REDD+ SES Initiative encourages outreach and capacity building to all relevant stakeholder groups, particularly women, Indigenous Peoples and local communities, and their inclusion on platforms and committees related to safeguards. In addition, the Initiative promotes the inclusion of a civil society partner in a facilitation team for the development of the country safeguards approach. 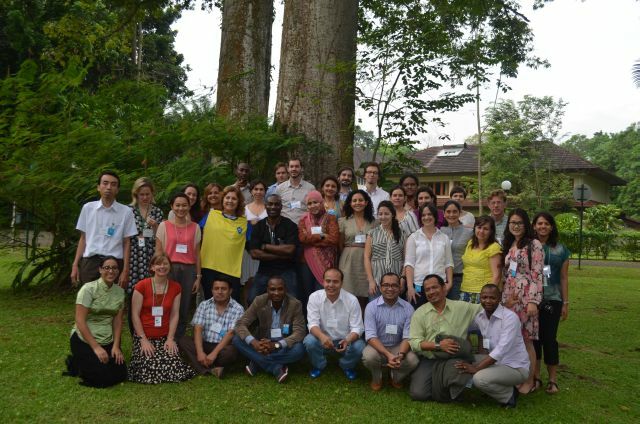 The Initiative facilitates learning and networking across countries and with broader international civil society platforms focusing on REDD+ safeguards. 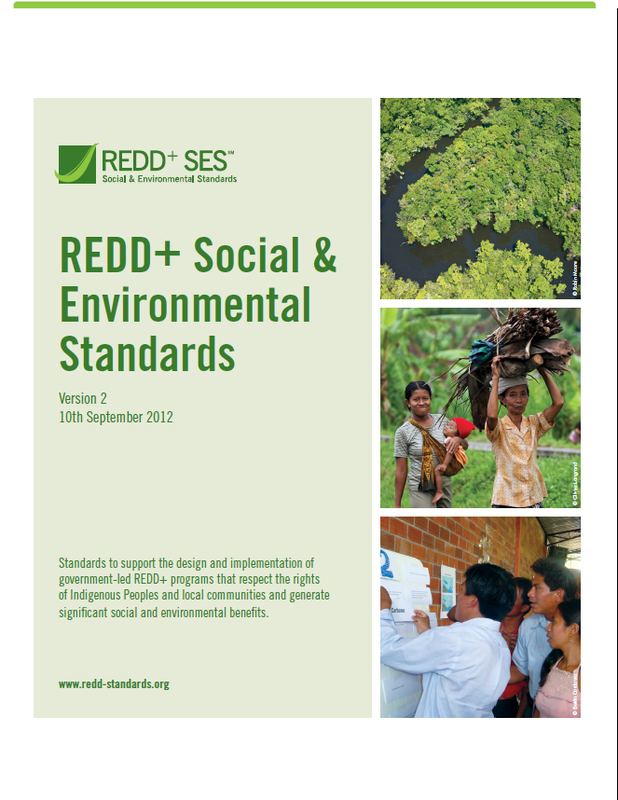 The REDD+ Social & Environmental Standards and the accompanying Guidelines describing the ten-step, multi-stakeholder process for using them at country level were developed by the Initiative through an inclusive participatory process to provide a best-practice framework that can be used on a voluntary basis as appropriate and relevant to the country context. The standards and guidelines can be used as good practice guidance or as quality assurance standard. The Initiative provides capacity building and technical support for these different uses of the standards, and where requested, can organize an International Review to support their use as a quality assurance standard. Read more.